Sandalwood hydrosol, or floral water, is both an anti-inflammatory and anti-bacterial agent, making it an excellent skincare and skin cure product effectively firming and calming even the most sensitive of skins. The Summit body mists, aftershaves, soaps, body cleansers and other botanical skincare formulations are made here at our distillery in Port Vila, utilising our premium 100% pure sandalwood hydrosol which is also distilled on site. The hydrosol contains tiny bubbles of the precious sandalwood oils together with the water soluble components of the wood. You can use this as your everyday natural facial wash. It is also very soothing and healing for acneic skin types producing excellent results. After the sandalwood oil is removed, the remaining condensate is called the hydrosol (or hydrolate or floral water) and it contains many of the beneficial ingredients of the oil, but in a much diluted form. It makes an excellent refreshing, relaxing spray, which can be used as hydrating face or body mist, cleanser, after-shave and also as a perfectly natural room freshener. It is an essential ingredient in face masks and other beauty products which you could also make yourself. Sandalwood hydrosol is both an anti inflammatory and anti bacterial agent, making an excellent skin care/skin cure product to firm and calm the skin. The Summit body mists, aftershaves, soap, body cleansers and other skin foods utilise our wonderful sandalwood hydrosol. The steam distillation technique used at The Summit gently passes steam through chipped sandalwood, vaporising the sandalwood oil. The steam is then condensed back to water distillate and oil. The lighter oil oil is drawn off and the remaining condensate water, known as hydrosol, remains. The hydrosol contains tiny bubbles of the precious sandalwood oils together with the water soluble components of the wood. You can use this mild hydrosol as your natural facial wash most especially if you choose to treat your acne in a chemical free manner. 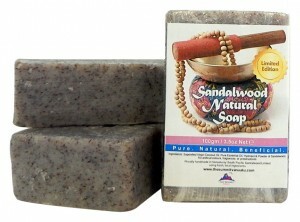 This oil rich, sterile sandalwood water makes a perfect skin toner and has a soft woody fragrance. For topical application . Can be used simply as a natural face mist on delicate and mature skin. May be also blended with clays and sandalwood powders to make excellent face masks. For relief from acne, rosacea, couperose skin, eczema, and psoriasis. DO NOT PUT IN THE EYES. CAUTION: Discard 6 months after first use. This is the most beautiful sandalwood hydrosol I have ever used. The aroma is vibrant, deep and rich. I am thrilled to have this beautiful hydrosol to spray on my face. I also added some to my bath…it was heaven! We truly appreciate your review Andrea! May you also try and enjoy our other pure, natural, beneficial health & body products. I learned of this Sandalwood hydrosol from Andrea Butje at Aromahead Institute. I have to agree with her. It IS wonderful! Such a delight to use on my face. Really seems to making improvements in my skin. 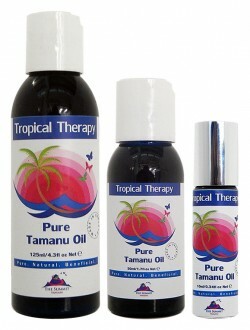 Along with the Sandalwood essential oil, and Tamanu oil. I rotate using this and the Hydrating Lime Toner after cleansing my face. Acne is reduced and moisture levels are much more balanced. I’m really happy with it! Now that I’ve ordered more I will be happy to use it generously in more ways. Thanking you for your wonderful feedback Heather! One day, one day Heather, hopefully we will be able to return your kind gestures! Thanking you for this and for also loving our Sandalwood Hydrosol! I want to share with you some lovely products that I have recently tried. I have always been fascinated with the fragrance of Sandalwood and exotic spices such as cardamom, star anise, and cloves. These new products use Sandalwood as the basis for some wonderful creams, lip balms, body butters and moisturising foam and Sandalwood water. 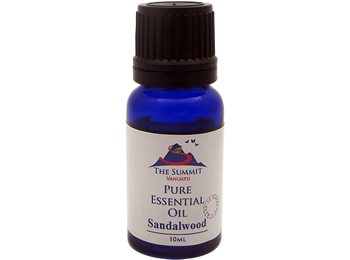 I have been using The Summit Vanuatu Sandalwood Water as a Toner and refresher after cleansing my skin and have found it to be very soothing on my Rosacea and softening for my skin. It does not leave my skin feeling tight or uncomfortable. I pat this over my face and chest before applying my oils, and my skin (which is dry, sensitive and mature) remains hydrated all day. If you have been reading my product reviews, then you would know that I only recommend products that I use, like, and have researched. 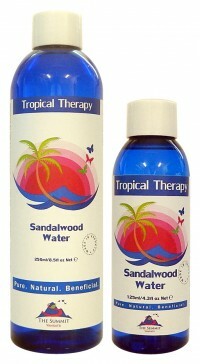 Sandalwood Water ticks all the right boxes for me! It is delightfully fragrant, light, refreshing and gently tones my skin without any harsh chemicals or additives. 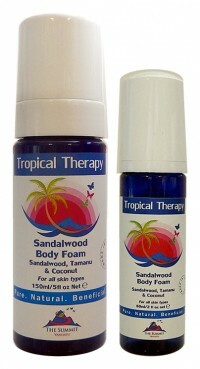 I use The Summit Vanuatu’s Sandalwood Water as my toner and skin refresher of choice.